Remember playing with your first tube of lipstick? Practicing your pucker in the mirror and trying not to break the soft creamy point of color off of the tube. Eyeliner may have been the trickiest of the bunch. Should I put it on top, bottom, both or should I skip it altogether? As an adult I still love to experiment with makeup and I know for a fact the average woman is still questioning her makeup options, never mind her daughters! I have created a Teen Makeup lesson and application as a healthy beginning and education on beautiful natural makeup for your teen. 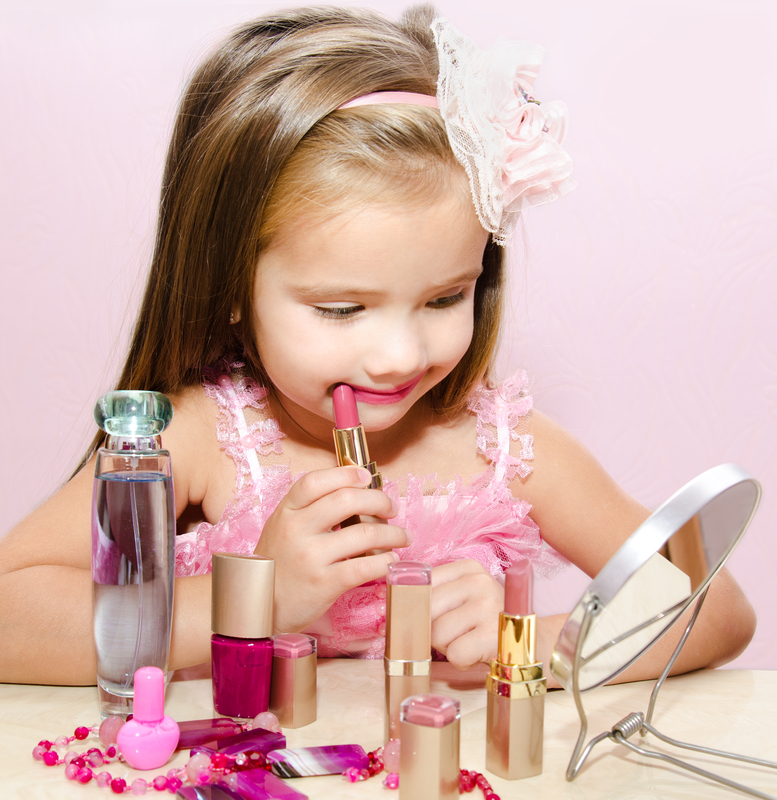 Bring in your daughters, nieces and friends; help them get started with healthy & modern beauty habits. (ages 10-16) We are all familiar with a little goes a long way ~ as a rule, a professional makeup artist can teach that habit and make it fabulous. The best part is I can teach your girls how to do it themselves. One of the best rewards I receive as a makeup artist, is seeing the natural confidence of a young lady. It certainly doesn’t take the same application of cosmetics or even the same products for that matter, as it does for a woman who has decades under her belt. There are lots of fun summer trends, along with classic tried and true that can easily be worked into a regular or special event routine. Special events; proms, parties and wedding, are always fun for a first professional makeup appointment, you certainly don’t need a special occasion to take advantage of this fantastic service! Call ahead for your private session or ask about bringing in a group of girls as an occasion in itself! Don’t forget VIP Spa members always get extra perks! See you soon! Call Studio Makeup at Adamo now to make your appointment. Tel. 781.383.3011 or email us at info@adamodayspa.com I’m looking forward to seeing you! JILACQUA COSMETICS ARE AVAILABLE TO PURCHASE AT ADAMO DAY SPA OR ONLINE. A lifetime of beautiful healthy skin begins with the right information and good skin health habits. This mini facial is an ideal way to introduce adolescents, ages 10-16, to the basics of good skin care. Treatment includes a thorough cleansing, exfoliation, extraction and treatment mask and step-by-step instructions for home care. Specifically designed just for teens, this make-up program provides basic skin care instruction and proper application techniques to enhance natural beauty. The perfect primer for those beginning to experiment with make-up. A traditional Swedish massage integrated with techniques from each therapist’s unique style to relieve stress, release tension and revitalize tired muscles. A traditional manicure or pedicure that includes a warm buttermilk soak, nail shaping, relaxing hand and arm or foot massage and natural or fine color polish of your choice. ← Summer Pale. Summer Tan. Tuesday	9:30 a.m. to 5:30 p.m.
Wednesday 9:30 a.m. to 5:30 p.m.
Thursday 9:30 a.m. to 7:30 p.m.
Friday	9:30 a.m. to 5:30 p.m.
Saturday	9:00 a.m. to 5:00 p.m. Copyright © 2015 BlendBeautifully.com All rights reserved.